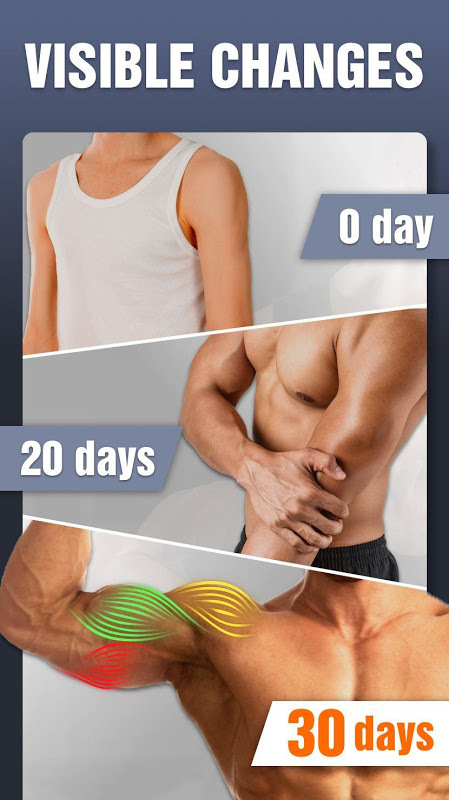  Want to Lose Fat, build Arm Muscles at Home?<br>Want to get Strong Arms in 30 days? 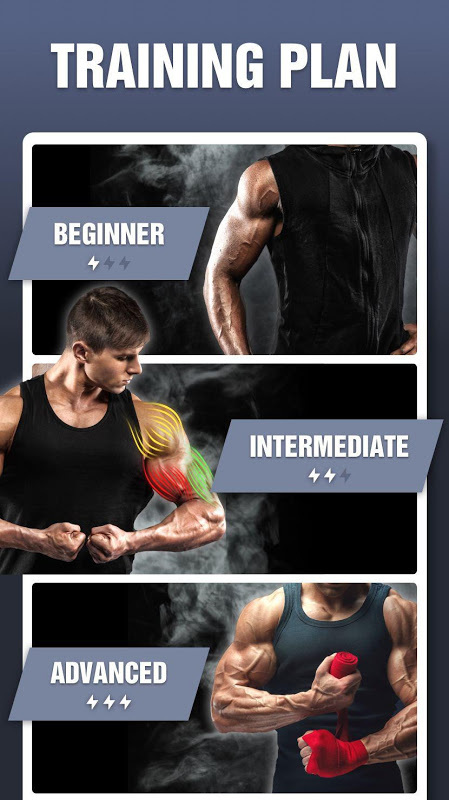 Arm Workout, designed by professional fitness coaches, is created to help people around the world obtain stronger arms. It offers for developing arm muscles. With only 10 minutes a day, your biceps and triceps will be pumped up. , all workouts can be performed with your body weight at home. 3 levels of workout plans help you build arm muscles step by step. Whether you are a beginner or a pro, you can find workouts that are suitable for you. Different exercises are prepared every day to keep it fresh and exciting. Amazing results will be achieved earlier once you set a clear goal. Arm Workout helps you set exercise goals by providing systematic and scientific 30-day workout routines. Exercise intensity increases gradually, so you can easily make exercising a daily habit. We strongly recommend you to follow our workout schedule for the best results. Is hiring a personal trainer too expensive? Have no time to go to the gym? Arm Workout is your personal trainer at home. Based on the high-intensity circuit training principle, these workouts are as effective as gym workouts. Each exercise comes with animation and video demonstrations, and also coach tips (TTS) that tell you how to breathe, how to avoid injuries and how to perform the workout right. It's just like your personal trainer in your pocket! No equipment needed, so you can easily do your workouts at home or anywhere at any time. Diet tips that teach you how to eat healthily and effectively, and health tips that help you form good habits and keep fit. You get different tips every day. 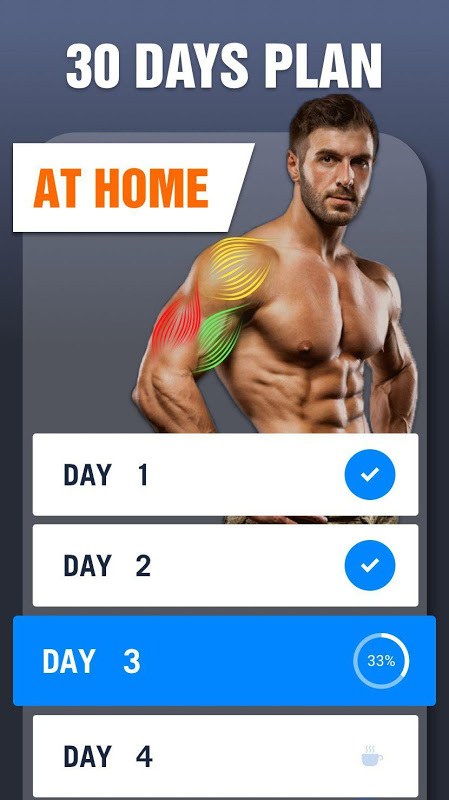 Features √ Short and effective arm workouts for men maximize effect √ Special tips in every exercise help you use the right form to get better results √ All exercise performed with body weight √ Workouts for biceps, triceps, forearm, etc √ Warm-up and stretching routines √ Detailed animation and video guidance for each exercise √ Gradually increases exercise intensity √ Suitable for both beginner and pro, men and women √ Customize your workout reminder √ Records training progress automatically Arm Workout without Weights Looking for effective arm workout without weights, arm workout for women or arm workout for men no equipment? This arm workout without weights is suitable for both men and women. Try the best arm workout for women and arm workout for men no equipment. You'll recommend this arm workout for women and arm workout for men no equipment to your friends. Fat Burning Workouts & Hiit Workouts The best fat burning workouts & hiit workouts for better body shape. Burn calories with fat burning workouts, and combine with hiit workouts to get the best results. Fitness Coach All workouts are designed by professional fitness coach. 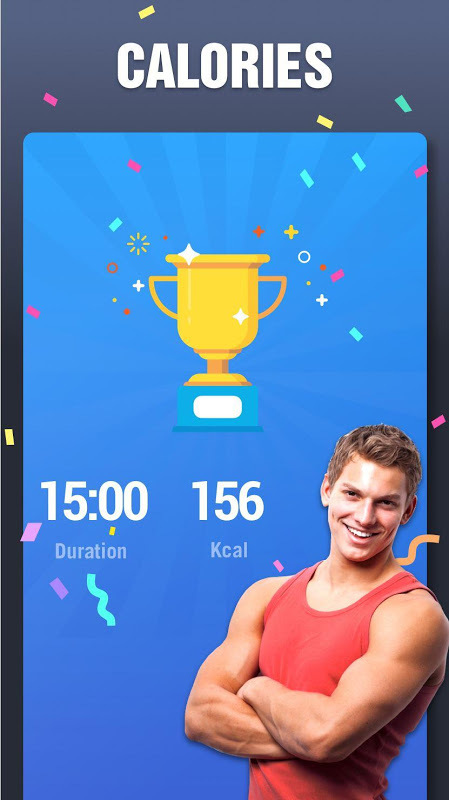 Workout guide through the exercise, just like having a personal fitness coach in your pocket!  Is Arm Workout - Biceps Exercise yours? Claim it!